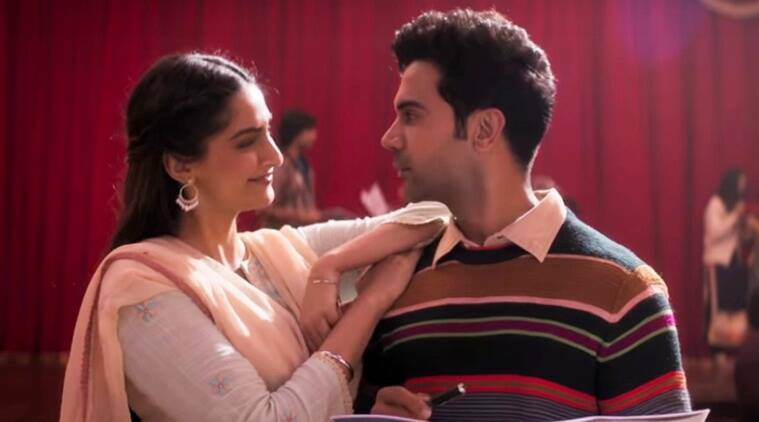 Ek Ladki Ko Dekha Toh Aisa Laga title track shows Rajkummar Rao who is smitten by a pretty Sonam Kapoor aka Sweety. Several shots also have Sonam's character enjoying the feeling of being in love. Ek Ladki Ko Dekha Toh Aisa Laga title track is out. 1942: A Love Story’s hit track “Ek Ladki Ko Dekha Toh Aisa Laga” has been revamped. The revamped track has been crooned by Darshan Raval and composed by Rochak Kohli. It is also the title track of Shelly Chopra Dhar’s directorial Ek Ladki Ko Dekha Toh Aisa Laga. The film stars father-daughter duo Anil Kapoor and Sonam Kapoor along with Juhi Chawla and Rajkummar Rao. The song shows Rajkummar who is smitten by a pretty Sonam Kapoor aka Sweety. Several shots also have Sonam’s character enjoying the feeling of being in love. But it is only towards the end of the video that we discover that it is not Rajkummar who makes Sonam’s character skip a heartbeat. Rather, it seems she is in love with another woman and here is where we are introduced to the unexpected part of this love story. Just like the trailer, the title track of the film hints at Sonam playing the role of a homosexual in the movie. If reports are to be believed, it is South Indian actor Regina Cassandra who plays Sonam’s love interest. The romantic track in the voice of Raval packed with Rochak Kohli’s music and Gurpreet Saini’s lyrics is a soulful track and has all the potential to top the playlist of lovers. But, the hook line of the song “Ek Ladki Ko Dekha Toh Aisa Laga” borrowed from a classic RD Burman song seems to be unnecessary and the song would have been complete even without that. 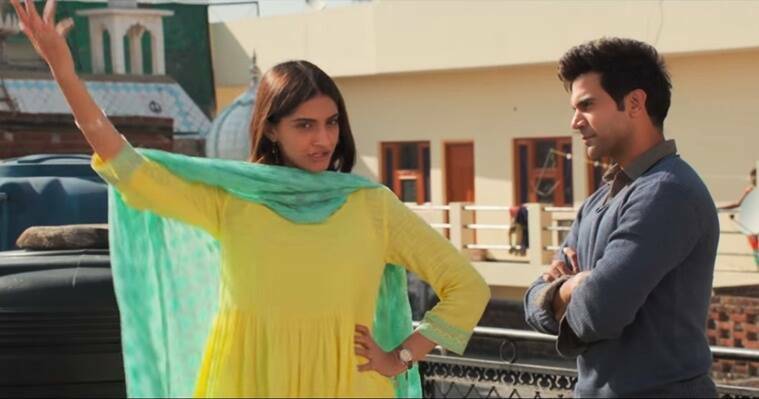 Rajkummar Rao and Sonam Kapoor in a still from Ek Ladki Ko Dekha Toh Aisa Laga. Rajkummar Rao and Sonam Kapoor are coming together for the first time in Ek Ladki Ko Dekha Toh Aisa Laga. 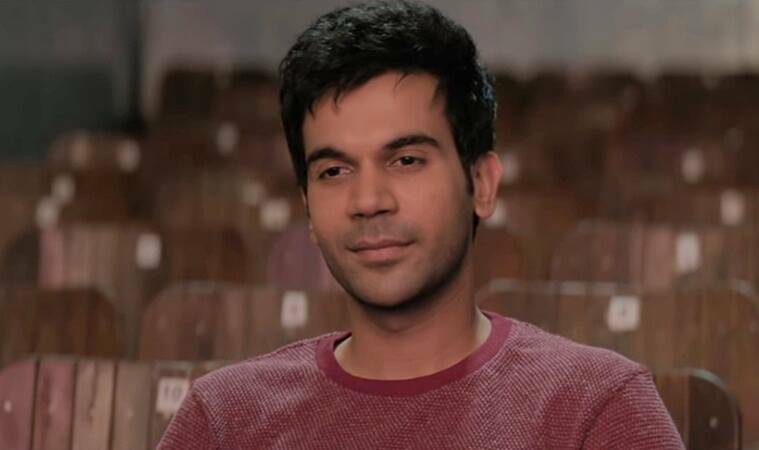 Rajkummar Rao in Ek Ladki Ko Dekha Toh Aisa Laga. Ek Ladki Ko Dekha Toh Aisa Laga is being touted as ‘the most unexpected romance of the year’. Produced by Vidhu Vinod Chopra, the film is slated to hit the theaters on February 1, 2019. 2 Have you seen these photos from Priyanka Chopra and Nick Jonas’ wedding?